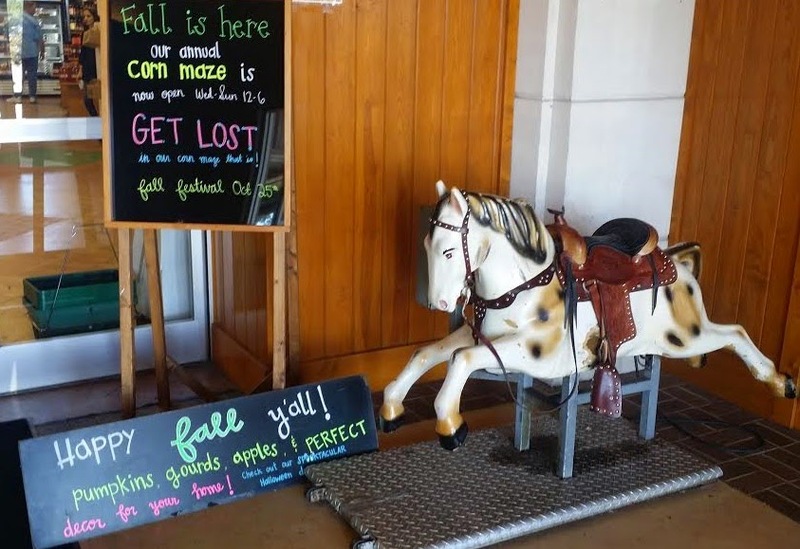 'Corn Maze Play Dayz' at Lane Southern Orchards! 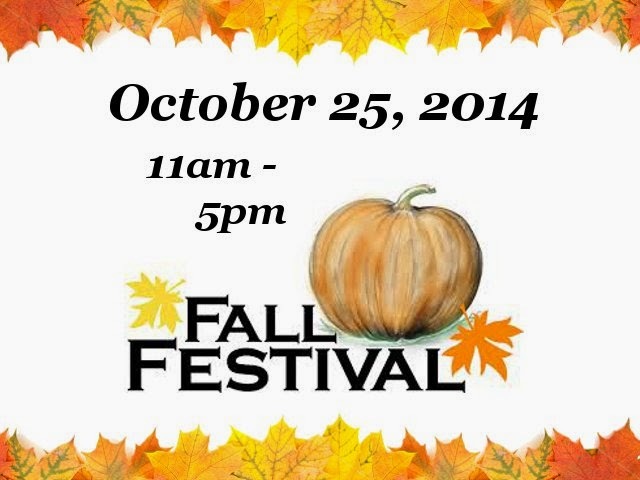 Introducing a family-friendly day filled with laughter and some down home fun on the farm. 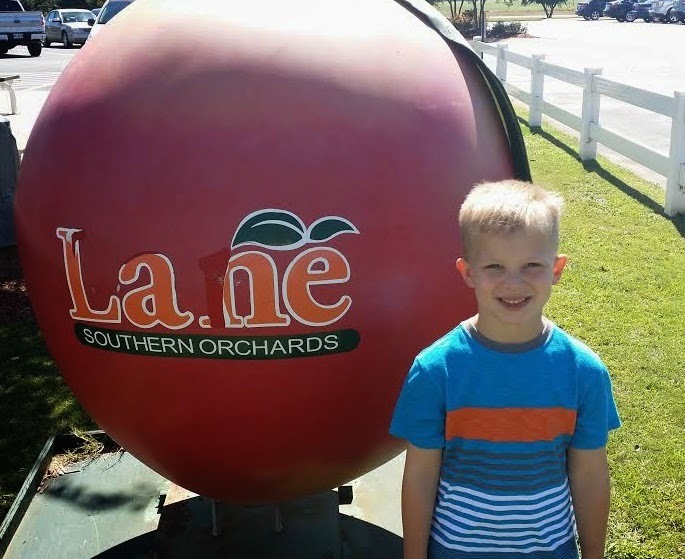 Lane Southern Orchards, located in Fort Valley, GA is the perfect place to spend a cool fall day. Whether you are local or stopping through, there are activities that everyone will love. Entrance-- Get ready for some fun! 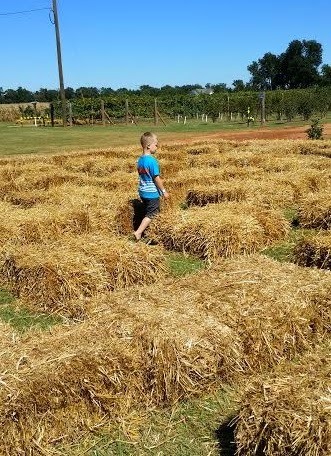 This past Saturday, my family went to Lane Southern Orchards to check out the Corn Maze Play Dayz, Lane's October fall celebration. You can also buy a pumpkin in store. Fresh fruit and vegetables available year round! 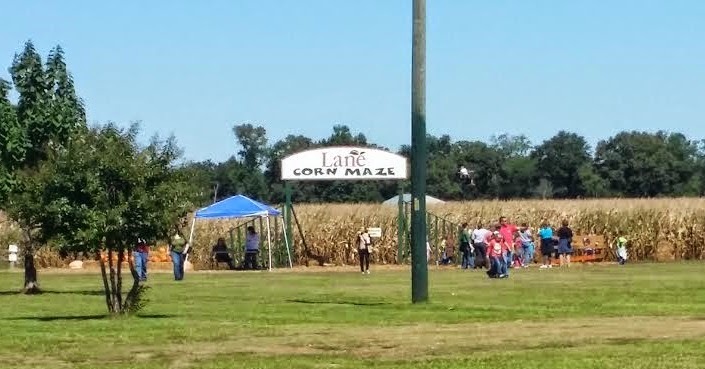 I've previously been to Lane Southern Orchards, but never during the Corn Maze Play Dayz, so this was a new experience for all of us. The Corn Maze Play Dayz is open to the general public Wednesday through Sunday 12:00 pm - 6:00 pm. Featuring a 6-acre GIANT corn maze (it took us 45 minutes to find our way out! 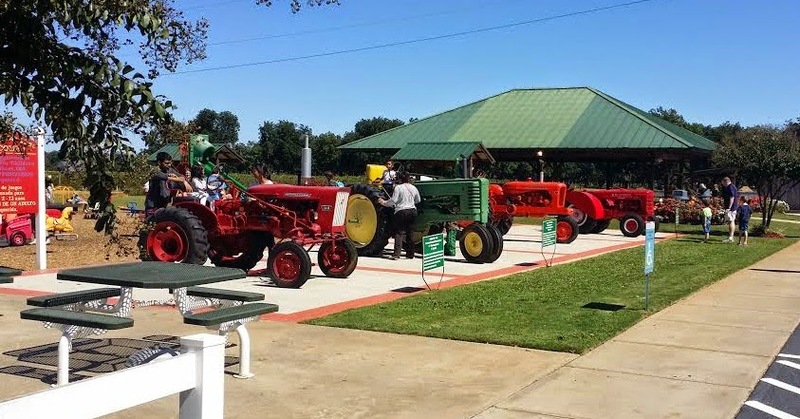 ), a 20-minute hayride, rubber ducky races, a hay bale maze, a pumpkin patch, homemade peach cobbler and peach ice cream, and a market! Farmer's Market - Don't forget your canned peaches! During our visit, we checked out every activity. While the hayride was fun and informative, we found that the huge corn maze was the best! Here is the outline of the corn maze. It is huge! There is also a hay bale maze for the little ones! Hungry? Fear not. The Peachtree Cafe and Bakery has you covered. There is a lot of delicious southern food on the menu, followed by a wide variety of homemade desserts. It is completely free to go inside Lane Southern Orchards and check out their shop and market. The only things that you have to pay for are the Corn Maze and the Hayride. Seniors 55+ and military get a 10% discount. 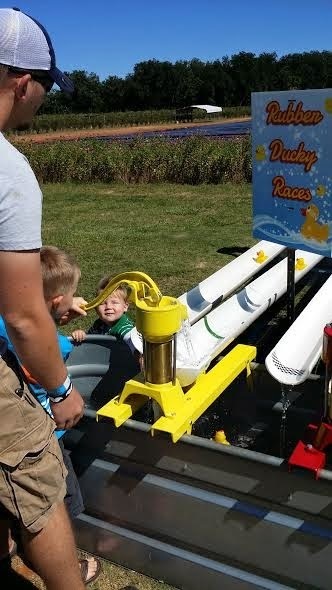 Disclaimer: I was provided free admission for the corn maze and hayride in return for my honest review of this event. My opinions have not been influenced in any way.